Once again, gum disease (periodontal disease) is making headlines in the health news, as more research links it to Alzheimer’s disease. The growing body of evidence linking gum disease with a number of life-threating medical conditions is one of the many reasons that we make periodontal health a priority at Smile in Style at our Moonee Ponds and Sunbury dental offices. The latest periodontal disease research study to make waves in the healthcare world was published in Science Advances, a peer-reviewed scientific journal, on January 23, 2019. 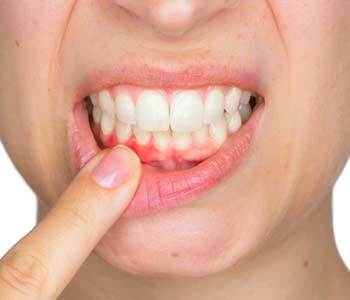 The researchers reported finding a significant link between P. gingivalis (Porphyromonas gingivalis), the bacteria associated with periodontal disease, and the brains of Alzheimer’s disease patients. It may shed new light on the pathology of Alzheimer’s, possibly helping unravel the mystery of what causes this deadly disease. The multifaceted study included an examination of bacterial activity in people with Alzheimer’s disease, as well as experimentation using mice. Researchers worked with laboratories in Australia, New Zealand, Europe, and the United States to evaluate the brain tissue of deceased Alzheimer’s patients. Dozens of samples were tested, and gingipains (an enzyme produced by P. gingivalis) were discovered in a startling 90 percent. In order to investigate the potential of periodontal disease-related bacteria as a causative factor, researchers performed a controlled laboratory experiment involving mice. The gum tissue of healthy mice was introduced to P. gingivalis, causing an infection. The brains of those mice were later tested, and researchers found evidence of the bacteria. Study authors concluded a significant connection and referred to their findings as evidence of causation. 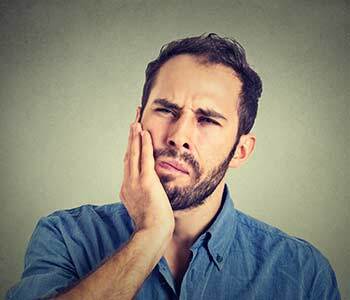 Although some medical experts argue that further research is needed to confirm a cause-and-effect relationship, most agree P. gingivalis is a likely factor. In other words, severe gum disease may or may not cause Alzheimer’s in an otherwise healthy individual. However, scientific evidence strongly suggests that, at the very least, it is a contributing factor. A study published in the online journal, Alzheimer’s Research and Therapy, in 2017 chronic periodontal disease is associated with a 1.707-fold increase for risk of Alzheimer’s disease. They also found a higher instance of depression, hyperlipidaemia, and other medical conditions in chronic periodontal disease patients. A 2016 study published by PLOS ONE examined a group of patients who had mild to moderate dementia. Consistent with other research, they found a correlation between increased rates of cognitive decline and periodontal disease. A study by Chung Shan Medical University of Taiwan, published in 2018, suggested a significant increase in Alzheimer’s among individuals over 70 years of age who had suffered from gum disease for more than a decade. The desire to keep your natural teeth for life is reason enough to fight gum disease. Furthermore, ever-strengthening evidence linking periodontal infection to life-threating health conditions such as Alzheimer’s provides even more incentive. More and more people are asking how to keep their gums healthy, and what to do if they have periodontal disease. For patients in Sunbury or Moonee Ponds, the best first step is a visit to Smile in Style. A dental check-up and examination in our offices include a periodontal evaluation. If your gums are disease-free, we will provide a maintenance plan to keep them that way. Good oral hygiene, routine hygienist cleanings, and good nutrition are key elements of prevention. For those diagnosed with gum disease, the recommended treatment will depend on the severity of the condition and other health factors. Gingivitis, the mildest form of gum disease, may be treated with deep cleaning, scaling, and root planing. In advanced periodontal disease, the gum tissue pulls away from tooth roots, creating deep pockets where bacteria collect. This is usually treated with gentle laser therapy, which disinfects the pockets and assists tissue in reattachment. After successful periodontal disease treatment, we may recommend more frequent check-ups, so we can carefully monitor your gum health. If you have questions or you would like to schedule an appointment, please call Smile in Style at 03 8400 4104 (Moonee Ponds) or 03 8001 6021 Sunbury.